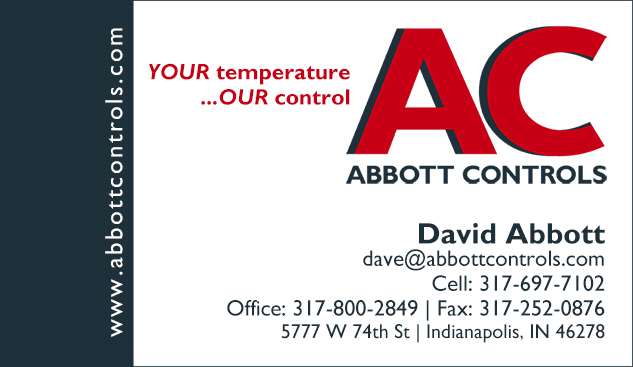 Abbott Controls was formed in 2010 by Dave and Kristi Abbott for the purpose of providing mechanical contractors in Indiana with a competitive subcontractor who can supply quality temperature control systems. Abbott Controls operates to meet the requirements of the plans and specifications developed by consulting engineers. It was started by two Purdue University engineering graduates, Dave Abbott and Eric Bredehoeft, and includes several members of the Abbott family, providing over 40 years of combined experience in the industry. Abbott Controls has been a Honeywell ACI Contractor since 2010. To obtain this designation, we have met Honeywell’s requirement for training and purchase volume. Multiple contractors are trained in the installation giving the owners options if the systems need to be expanded. Dave Abbott, with over 30 years of experience in temperature control systems, is uniquely positioned to provide these systems for a lower cost than other suppliers. 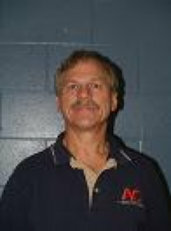 Dave ran the temperature controls division of Peine Engineering Co., Inc. for 15 years before he started Abbott Controls. 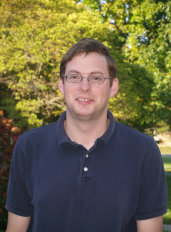 Eric, a Purdue engineering graduate, helped start Abbott Controls in 2010 with Dave Abbott. He creates control drawings for projects and is also in charge of program startup. Drew is another engineer for Abbott Controls. He works with programing and graphics for control systems, to make it as easy as possible for customers to access and understand how their heating/cooling systems are functioning. 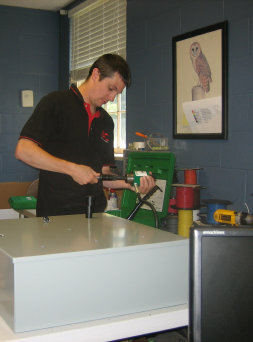 Also, Drew helps with panel building, wiring, and deliveries when/where needed. 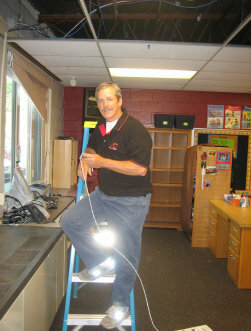 Rick is the main field installer for Abbott Controls so most of his work is done on site. 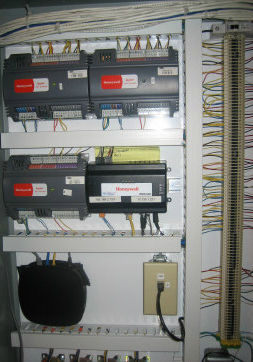 The installation of web controllers is his primary task at these projects and involves running control wires from devices like valves, sensors, etc. to controlers and then on to control panels. This includes running bus wire and communication wire. 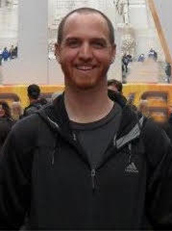 Jeremy is a graduate of Purdue University in Civil Engineering and has been working in various project management positions for over 8 years. 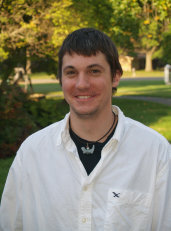 Jeremy is responsible for project management and operations. 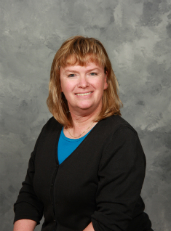 Sharon has been with Abbott Controls since 2010. She handles the clerical duties in the office including accounting. "Maintain comfort and save energy"
Abbott Controls provides quality temperature control systems, service, and maintenance to mechanical contractors and building owners in Central Indiana that meet their requirements to maintain comfort and save energy. From quality products to specialized design, Abbott Controls provides and maintains the systems that you rely on to maintain a happy and comfortable enviornment at all times. Abbott Controls provides efficient and professional installation of its products. All heating and air conditioning units as well as all wiring, panels, and monitoring systems are installed by our certified professionals. All are tested and proven to meet both the standards of Abbott Controls and those of the customer company. Abbott Controls not only gives the comfort needed but also provides adequate maintenance to keep systems running efficiently to sustain the comfort a company desires for many years. The temperature control systems are kept to run at peek efficiency to avoid future problems and save money spent on future problems and failures that could occur due to lack of care. This maintenance allows for the system to work up to its true potential and go beyond expectations in many cases. The temperature control systems installed by Abbott Controls meet very impressive standards. However, systems wear down just as all machines do. After much use parts and instruments may begin to wear and malfunction. In order for these systems to continue to operate, Abbott Controls will come and service the system by necessary and reasonable means. Replacement, repair, or complete redesign are all options to help ensure that the temperature control system operates accurately. Regular maintenance provided by our company can aid in preventing, or at the very least delaying these problems.